A dental implant is often mentioned as an ideal solution for replacing one or more missing teeth, where the loss of the teeth occurs for several reasons. Modern life moves way too fast and doesn’t give us much time for simple pleasures, such as a habit of eating healthily, or moving enough. We are often exposed to stress which also affects our oral health. Fortunately, constant innovation in the field of dental medicine has found a solution for missing teeth, which can be effectively and permanently replaced by dental implants. But how, when and why to choose a dental implant? 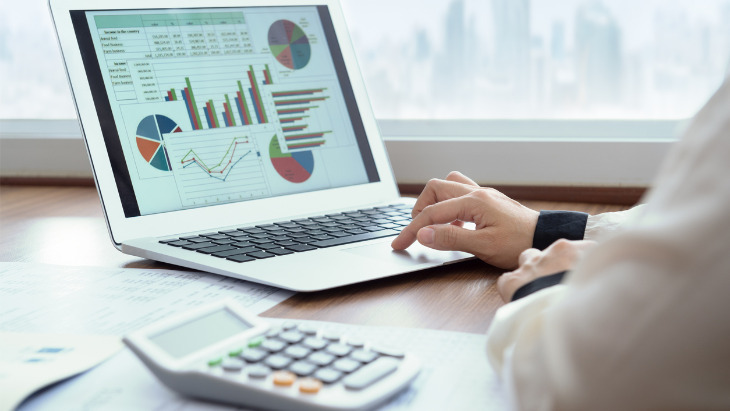 These questions will be answered by the team of experts at Dentech. 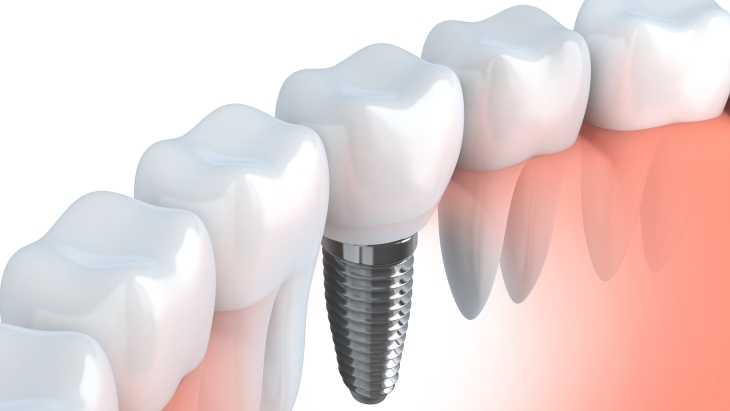 A dental implant is a screw-shaped tooth root replacement which is surgically placed in the jawbone. It is used to replace the root of a tooth which has previously had to be removed due to extensive damage or root inflammation, where endodontic treatment had failed to address a problem, or due to periodontitis where the teeth can eventually loosen and even fall out. A dental implant is manufactured from biocompatible materials, from titanium, and is inserted in strictly controlled conditions. At the Dentech Clinic the implantation is performed by a specialist of maxillofacial surgery with many years of experience in implantology. The safety and efficiency of the procedure are guaranteed because of the quality of the implant brands used and the knowledge and experience of the Clinic’s staff. When the patient is missing a single tooth, an implant is an ideal solution to fill in the gap between the teeth in terms of aesthetics, functionality and the unique set of the teeth. Between the implant and the dental crown, an abutment (titanium or zirconium) is placed as a connecting component. In situations, where there are not enough natural teeth that can be bound in a bridge, two or more implants can be used as ‘anchorage’ teeth. Such dental bridges are created from several crowns, and can completely solve the patient’s functional and aesthetic problems. It is a fixed solution, which is a preferred option for the majority of patients, primarily due to its stability and strength, which is important for the chewing process. A toothless jaw requires a slightly different approach to the previous two situations, but fortunately, there are innovative and modern fixed prosthetic solutions in dental medicine. The most commonly used method for total mouth restoration is the ‘All-on-4‘ method. All-on-4 refers to a full arch restoration where 4 implants are placed to support a fixed prosthesis with 10 - 14 teeth. This method is accepted world-wide by state-of-the-art dental clinics and solves the most demanding situations in the best possible way. It enables every patient to have a healthy function and aesthetic of the teeth, restoring self-confidence and, in turn, an active social life. The procedure is completely painless, very quick and safe, and it comes with a lifetime warranty (product warranty). But the biggest advantage is the fact that it will bring back your long-forgotten smile. Located in Split in Croatia, Dentech is a state-of-the-art dental clinic specialising in aesthetic and restorative dentistry. Equipped with the latest equipment and an in-house CAD/CAM dental laboratory, the clinic offers a comprehensive range of affordable modern treatment options from an experienced multidisciplinary team. Treatments available include dental implants, crowns and bridges, All-on-4, digital smile design, dental veneers, tooth whitening, oral surgery, periodontics, preventative dentistry, orthodontics and children’s dentistry. For your comfort, and unique to Budapest, they provide Hotel, Clinic and Lab in the same location - only 100m from the Opera House! Dental tourism is the practice of travelling to another country for dental treatment. It is classified under the broad category of medical tourism. What should I expect on my first dental treatment abroad visit?